The company's 39,000-plus employees work in more than 80 countries in geomarket teams that help customers find, evaluate, drill, produce, transport and process hydrocarbon resources. Baker Hughes' technology centers in the world's leading energy markets are pushing the boundaries to overcome progressively more complex challenges. Baker Hughes develops solutions designed to help manage operating expenses, maximize reserve recovery and boost overall return on investment through the entire life cycle of an oil or gas asset. Collaboration is the foundation upon which Baker Hughes builds our business and develops next-generation products and services for drilling and evaluation, completions and production and fluids and chemicals. 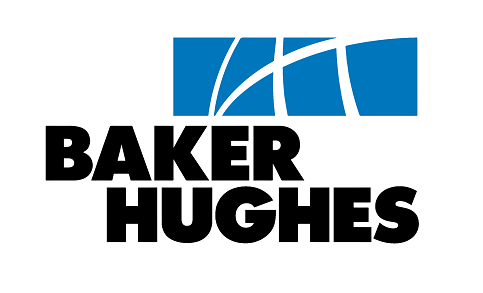 For more information on Baker Hughes' century-long history, visit our website. Baker Hughes are always looking for new talent to fill roles in the field and in our offices, plants, and laboratories. Join us, and you'll soon belong to a widely diverse and inclusive team of colleagues who’ll support and inspire you. We’re interested in outstanding performance so your work will stretch you and stimulate you. You’ll learn continually with technical training and leadership development programs combined with early responsibility and fast career advancement potential. The Area Logistics Manager is the responsible party for all local logistics and logistics-related trade compliance operations on behalf of all Divisions across the relevant Area. They supervise all local internal and external logistics, distribution and transportation activities to ensure that the tripartite goals of legal compliance, timely delivery, and price minimization are wholly satisfied. Act as the primary contact point for all inbound or outbound logistics operations and logistics-related trade compliance in the Area. Develop, implement and manage a consistent, coordinated approach for the importation and exportation of goods by all local Division operations. Provide cost-effective, timely, and traceable movement of company products both inbound and outbound. Develops, implements, and maintains policies and systems relating monitoring costs and efficiencies. Analyzes and recommends carriers, routing, and processing consultants. Develop and supervise a central document retention system (or systems for multi divisional locations) and retain ALL electronic and hard copy shipping files for all import / export movements which will also be recorded in country specific or divisional shipment logbooks. Also retain within the document retention system all applicable trade compliance / export control documentation. The document retention system will require to be fully transparent and auditable. Ensure full scrutiny of all customs broker, freight forwarder and other related invoices and ensure they are properly audited prior to payment and retained in the relevant shipment file. Ensure compliance by all local logistics activities/persons with all local import and export customs clearance rules, locally implemented Wassenaar-based export control rules and multilateral nonproliferation regimes, the Baker Hughes Export/Re-export Controls and Economic Sanctions Manual, the Baker Hughes Anti-boycott Manual, Global Trade Compliance Playbook and the Code of Conduct. Ensure that all freight forwarder, customs clearance company and logistics operations by or on behalf of Baker Hughes adhere to the Baker Hughes FCPA Guidelines and Policies. Ensure that all transportation needs for all local Divisions are effectively satisfied (International and Domestic). Select and supervise local freight forwarder/customs clearance company processing consultants; advise same on Baker Hughes policies and guidelines; negotiate contracts with same detailing allowed services and anticipated rates therefore; review invoices issued by same for conformance with contract and Baker Hughes policies and guidelines. Supervise local logistics analysts on solid-line or dash-line basis. Maintain the local non-US Customs Standard Manual, with all changes subject to review by Region Trade Director. Maintain the local Simplified Shipping Procedure (SSP) and Standard Operations Procedure (SOPs), with all changes subject to review by the applicable Region Trade Director and the Global Director of Logistics and Trade Compliance, or their appointed designate. Ensure that local logistics personnel follow the receiving portions of the local SSP, and the outbound portions of the relevant destination SSP for exports; monitor adherence to outbound portions of local SSP by foreign logistics personnel and provide contemporaneous feedback. Supervise all items in-country that were exported to the country pursuant to an export control license to ensure that license conditions and provisos are satisfied. Maintain logs of temporarily imported items to ensure timely and lawful re-export. Actively seek out lawful duty reduction regimes, ensure that such are used lawfully, and establish sufficient records proving entitlement to their use. Act as the primary contact with local customs authorities. Involve Legal and/or the Region Trade Directors as appropriate. Plan and coordinate internal audits of import and export processes and local processing consultant activity. Travel as and when required to fully perform responsibilities and duties of the position. Twelve or more years of full-time logistics experience, with at least three of those years in the country of assignment; five years of management or supervisory experience. Accreditation under local customs agent or logistics regimes, if any, is preferred. Extensive knowledge of transportation/distribution methods and procedures, and the effective means of carriage for trade lanes initiating or terminating in the local countries; familiarity with all modes of carriage. Active, current expertise on local customs practices and procedures; detailed understanding of special local requirements for dangerous goods, radioactive sources and explosives; awareness of how to use local duty reduction regimes (such as temporary imports and exports, FTZs, bonded warehouses, etc.) and the systems required to stay completely compliant while operating under such regimes. Must be able to legally receive US technology necessary for the position, if any. Those who you're interested please apply via link below. Fraud warning! Baker Hughes and its affiliates DO NOT charge candidates fees or request payments of any kind at any point during the recruiting and onboarding process. Thanks for reading Baker Hughes Jobs: Logistic Manager. Please share...!